Norman Lloyd has signed up to guest star in Modern Family. TV Guide reports that the 95-year-old actor, who starred in St. Elsewhere, will join the comedy for one episode. Cameron (Eric Stonestreet) is said to meet Lloyd’s character in a shopping mall and become friends with him. For anyone going through 24 withdrawal, here’s some good news: Mary Lynn Rrajskub (Chloe) is going to guest star on MODERN FAMILY. TV Guide reports Rajskub will play Mitchell’s (Jesse Tyler Ferguson) high school girlfriend, presumably the one mentioned in “The Kiss” episode–the one he never kissed in public because he’s gay. Awkward. I can’t wait to see Cameron’s (Eric Stonestreet) reaction. Will he be jealous or invite her for brunch? When Modern Family returns to ABC on September 22 for its second season little Manny (Rico Rodriguez) will be front and center. Executive producers Christopher Lloyd and Steve Levitan tell TV Guide Magazine he’ll go on his first date—his first on-screen date, that is. “I don’t think it’s his first date,” says Levitan, Adds Lloyd, It’s his first serious girlfriend. The irst one he really feels he’s falling in love with.” The story line might end up being less about Manny than it is about his mother. Read the rest of the story on TVGuide. Delta Burke on ‘Modern Family’? 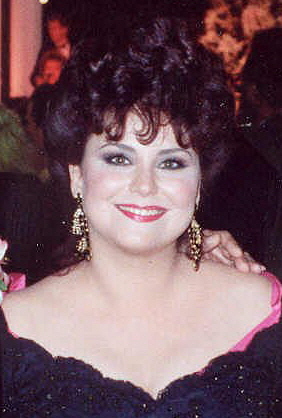 There’s a rumor buzzing around the Internet that Delta Burke will guest on ‘Modern Family’ as Cameron’s mother. TV Guide had something in the print edition, but the real culprit behind the tale is actor Eric Stonestreet who plays Cam. He said he would love Delta Burke to play his mama … and it’s a great idea. Would you want to see Delta Burke as Cam’s mother or do you have better suggestions?